My Edible Pink Pigs, are perfect for cakes and cupcakes, approx 2.5″. 2 per pack. €4.00.. Pack of 3 edible sheep heads Ideal for cupcakes, or as cake decorations. Each one measures app.. 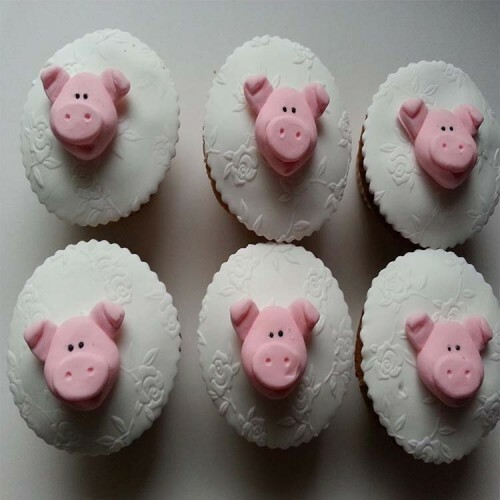 Handmade edible pig cupcake toppers. Approx 1" diameter, 3 pack. Ideal for cupcakes and celebration cakes. All my edible images are printed on the best quality sugar sheets. They can be personalised wi..